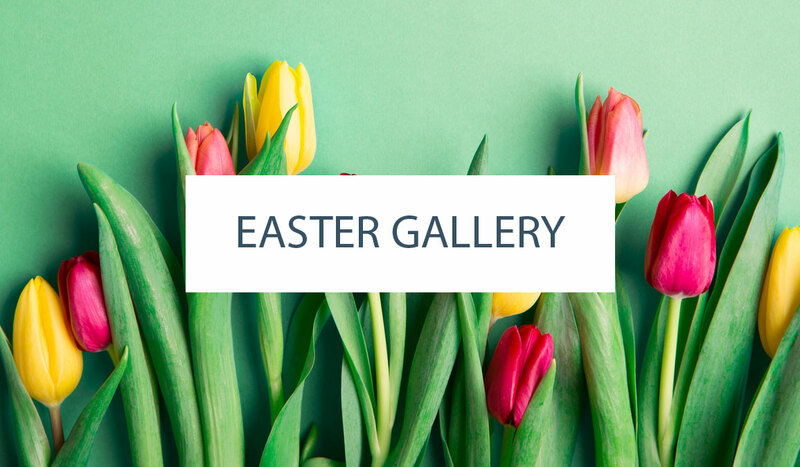 Our contributor, Erica OBrien, owner of Erica OBrien Cake Design, is back for the next post in our Trending series. Erica is helping us translate today’s top trends in fashion, design, art and everyday life into fabulous cake designs. 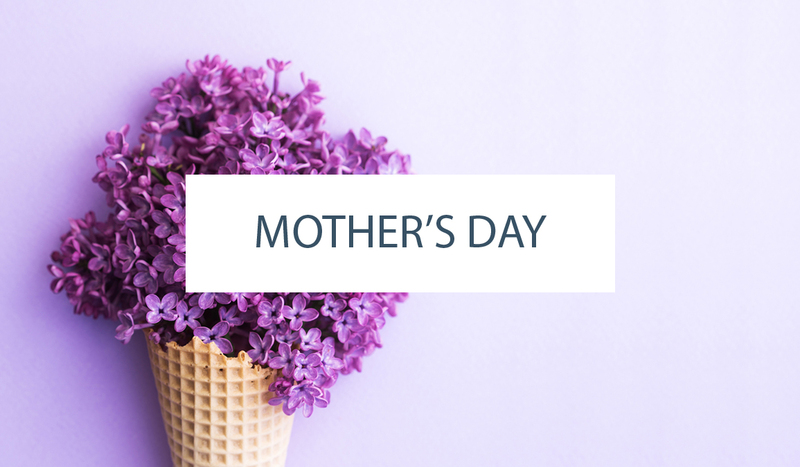 Watch each month as she goes from inspiration on Pinterest to cake concept and then the final cake design. 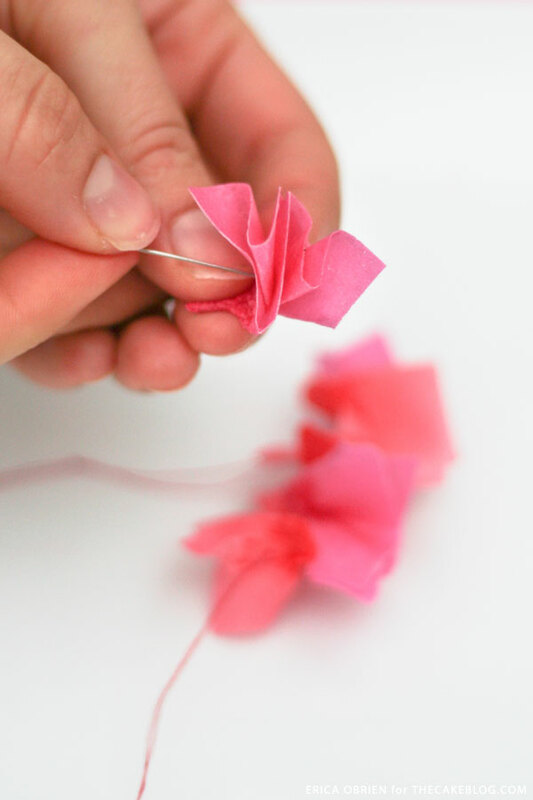 Today is all about paper garlands! I love to have fun. I love to laugh. And I like to think that my cakes reflect my free spirit: cakes that are not overly fussy or detailed. 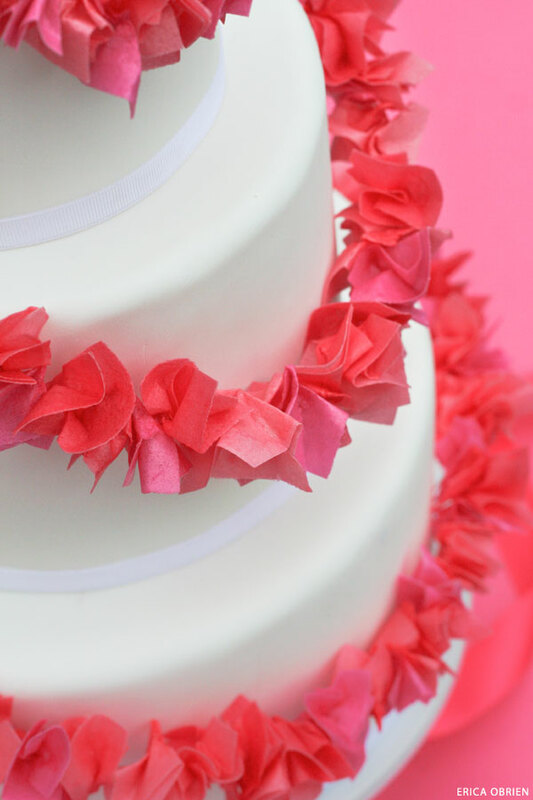 This garland inspired cake pretty much sums up my cake philosophy: flirty, festive, and not overly stuffy. The inspiration for this cake came from all the gorgeous garlands we see flying around Pinterest — and specifically from this Gaga for Garlands board by Kelly Lanza of Studio DIY. There are so many fun garlands on this board, but some of them just didn’t translate well on a cake. 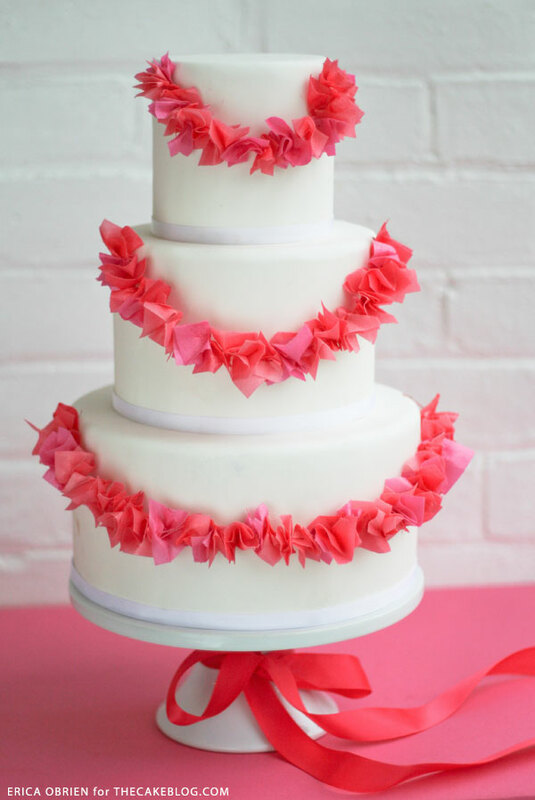 We thought that the tissue paper garland seen here was unique, and could be recreated out of wafer paper for an edible twist. 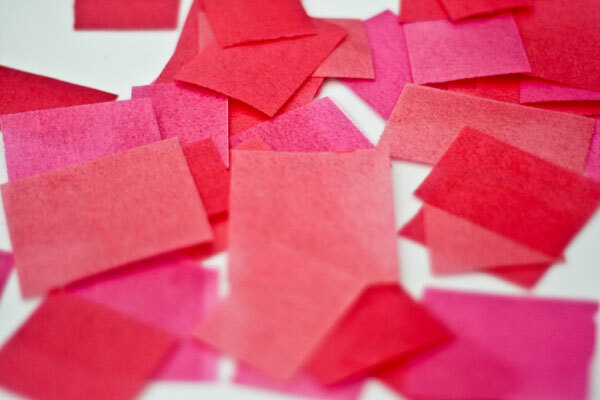 Once deciding on a fun color palette of watermelon, magenta, and hot pink, we printed colored wafer sheets on an edible ink printer and cut them into small–but not exact–squares. We put a dab of piping gel in the center, scrunched them together, and used a needle and thread to create the garland. 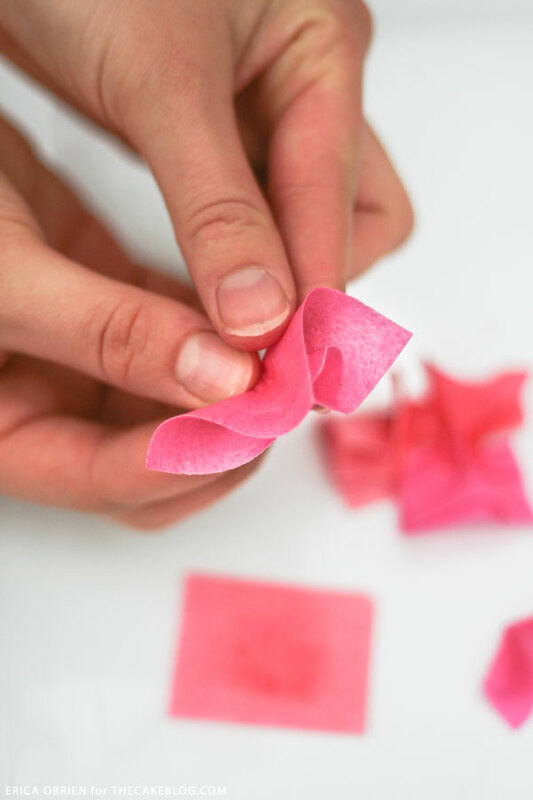 The results were just what we were looking for: fun, flirty, and edible! 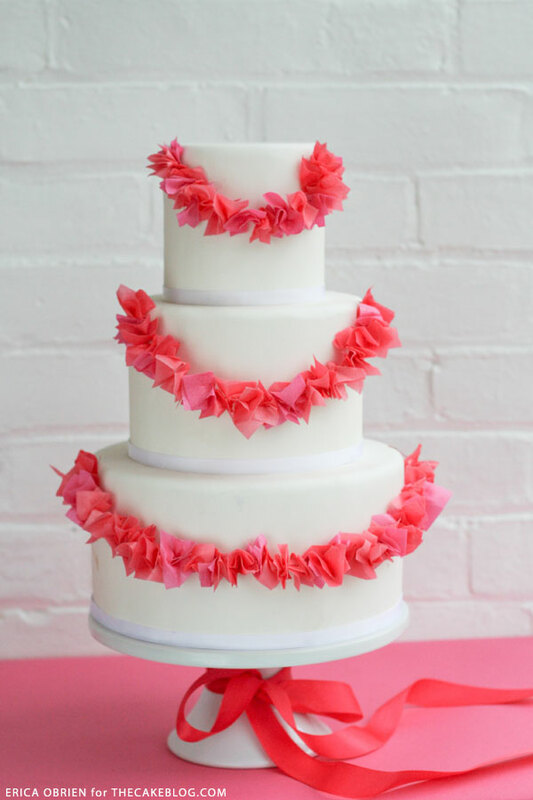 Our 8.5″ classic white porcelain cake stand–tied with a magenta ribbon–complimented the cake perfectly. 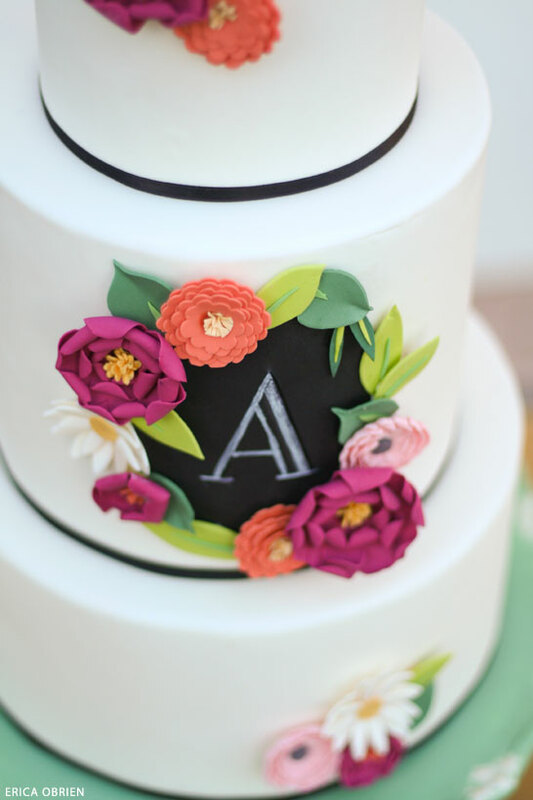 Next, catch my Chalkboard & Paper Flowers Cake. Another post in our Trending series! 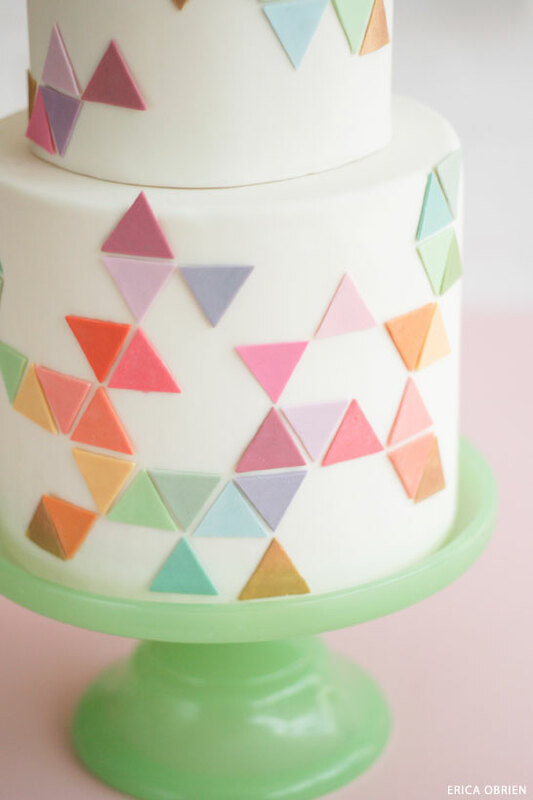 And don’t miss my Pastel Geometric Cake! 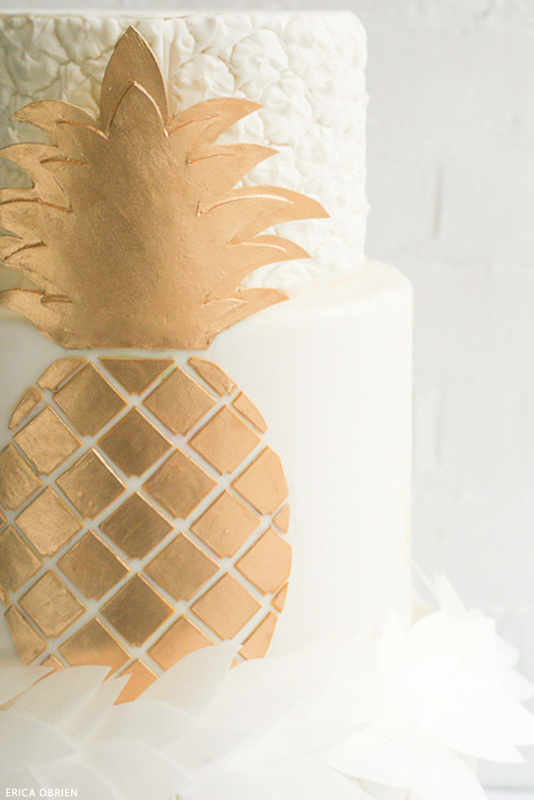 Now, hop over to my Golden Pineapple Cake! Awesome!! Amazing. decoration on cakes and design of cakes. very beautifully done. What a beautiful birthday cake…. AWESOME is the only word to describe…. nice cake. And thank you very much for description I will try for it.